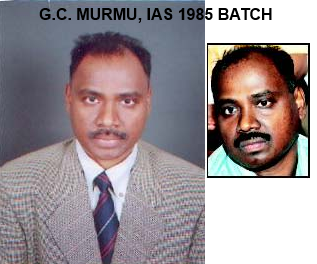 I have many good friends in the 1985 batch but I have not met Murmu. Unlike most IAS officers, I notice Murmu has NEVER had a central deputation. This raises questions – which I’ll not touch upon for now. It seems that Murmu developed strong links with Modi over time and has occupied two key roles in Modi’s government since 1 October 2004. He is both Secretary to Modi and the Secretary of the Home department. It is through Murmu that Modi operates. 1) The first tape relates to his THREATS and bullying of Sreekumar that I’ve discussed here. 2) The second tape relates to his attempt to sabotage the justice system in the case of the Ishrat Jahan fake encounter case. “The CBI team probing the Ishrat Jahan fake encounter case on Saturday questioned G C Murmu, the Principal Secretary to Chief Minister, and Ahmedabad Crime Branch Joint Commissioner of Police A K Sharma in connection with the voice recordings submitted by suspended SP Girish Singhal. The voice recordings, now part of the chargesheet, contained alleged details of a meeting held at Advocate General Kamal Trivedi’s office where a group of officers reportedly discussed ways to sabotage investigation in the case. He is denying but CAN’T THE CBI DO A VOICE TEST???? So now we have TWO SMOKING GUNS just related to Murmu. And of course there are MANY MORE smoking guns everywhere.The trigger was pulled by the same man in each case: Modi. He is clearly the mastermind. It is amazing that India’s smartest Investigators can’t piece the events together. Either they are incompetent or they are biased or they are under pressure. We know that during Vajpayees’s era that could have happened. But what about the last 10 years of Congress? Is there still pressure on SIT/CBI? The bumbling idiots of SIT/CBI are still struggling to piece together evidence. Reminds me of the two detectives in Tintin. Only, the bumbling in the Modi case is not funny. He should have by now been prosecuted for MANY cases. Being the Godfather, all roads lead to him. Murmu has also been involved in bribing Harish Salve. More details here or here. My FB post of 10 October 2015.